Consumers who are allergic or sensitive to the milk allergen should be extra-careful in purchasing or consuming dark chocolate products as the holidays arrive over the next few weeks. After GKI Foods recalled their dark chocolate products on October 27, 2017, dozens of other secondary recalls have been announced in a cascading domino effect. These items all contain the milk allergen, which is not stated on the product labeling. We will continue to report upon these new recalls as they are issued. 21st Century Snack Foods, headquartered in Ronkonkoma, New York, has recalled its “Dark Chocolate Almonds” product, packaged in a 6-ounce bag and distributed to all fifty states. The recalled almonds are stamped with the UPC code #030603 228549; the affected lot numbers are 16100 through 17300. United Natural Trading LLC has recalled dark chocolate cashews and dark chocolate almonds it distributed across the United States under its “Woodstock,” “Market Basket,” “Lunds,” and “Byerlys” brands between June 14, 2016 and October 30, 2017. The recalled products are: “Woodstock Dark Chocolate Almonds,” 8/8.5oz. (UPC code #04256300942), “Market Basket Dark Chocolate Almonds,” 8/12 oz. (UPC code #04970540826), “Market Basket Dark Chocolate Cashews,” 8/12 oz. (UPC code #04970540900), and “Lunds & Byerlys Dark Chocolate Almonds,” 12/11 oz. (UPC code #0724310208). A complete list of the extensive lot numbers and “Best By” dates governed by the recall can be found at the FDA website. 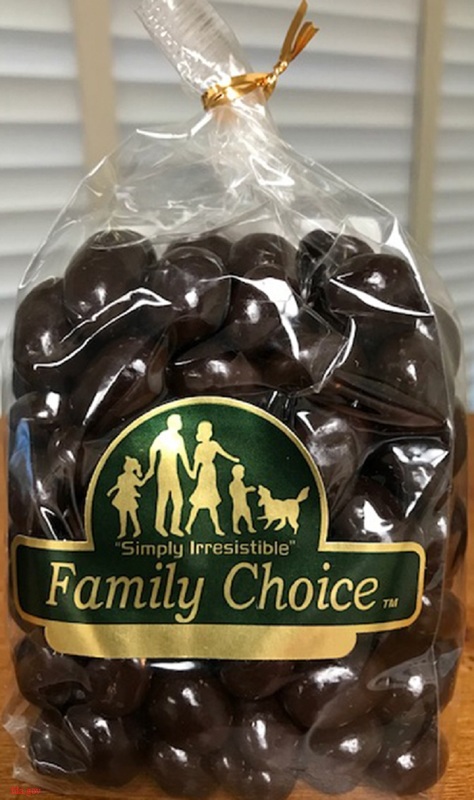 Rucker’s Wholesale and Service Co., located in Bridgeport, Illinois, has recalled its dark chocolate peanuts products, distributed to Bass Pro Shops under the “Uncle Buck’s” label and to Bomgaars Supply, L&M Fleet Supply, North 40 Outfitters, and Runnings stores under the “Family Choice” label between March 7, 2016 and October 30, 2017. All of the packages (8.5 oz. clear twist tie bags) are marked with the UPC code #0 52545 10226 8. If you purchased any of these items and are allergic to milk, don’t eat them. Instead, you should either dispose of them or return them to their place of purchase for a refund.